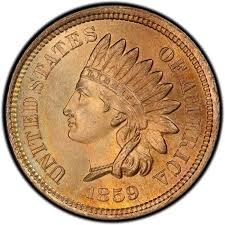 The 1864 Bronze Indian Head Penny had a mintage of 39,233,714. One of the more popular Indian Head Cents due to the Bronze composition of the coin. The diameter is 19mm. We use strict Photograde standards when grading all of our coins.